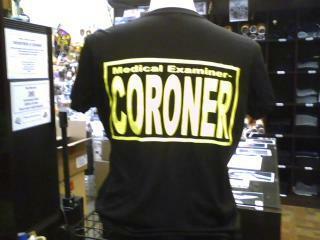 Classic V-neck tee with "LA County Coroner" on front left chest in block style. On back classic bold "CORONER". Sizes and Colors vary.